Sparkle Me Pink: Back To School Made Easy...It is Possible ! 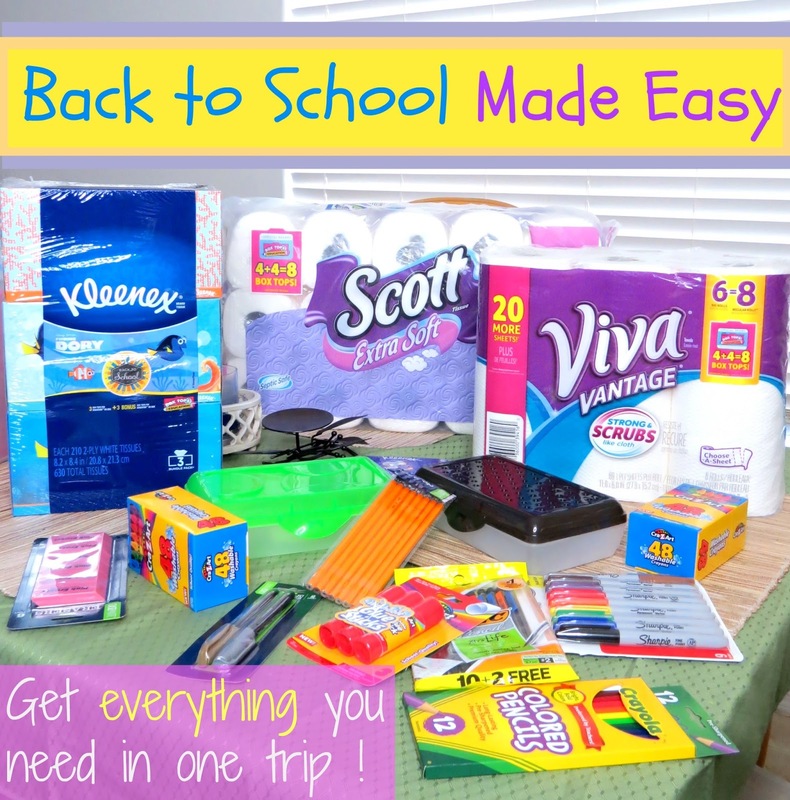 Back To School Made Easy...It is Possible ! Believe it or not school is already back in session here in Arizona. I feel like I should be so super excited! The kids have been so restless this summer with me not being able to drive. Broken foot, surgery ... long story. BUT that also means Back to School shopping for the supply & classroom wish list. Actually 2 of them. My youngest started school full time this year! I vote there should be a rewards system with bonus stars awarded to parents who have multiple kiddos in school. Keeping track of each teachers daily emails and updates, while I appreciate them, is practically a part time secretary position. All 'mom life is hard' jokes aside. The truth is I don't mind helping out with providing classroom supplies or volunteering my time to help out. The frustration and most daunting part of it comes from driving all around town. To every shop. Trying to score every back to school deal. Because let's face it, my pockets are only so deep. 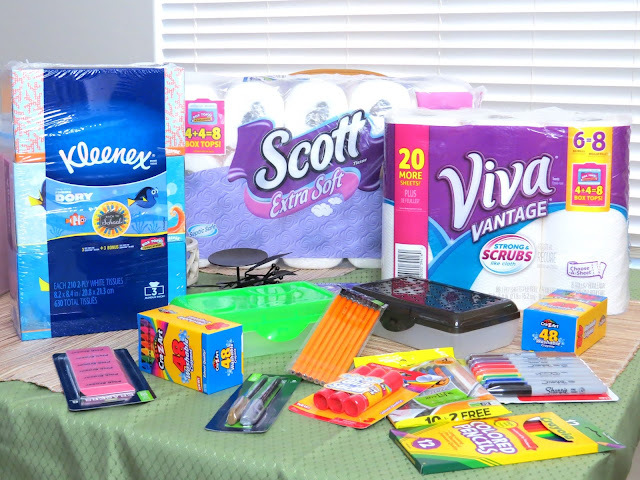 That's why this year, and last year I did this too, a one stop back to school haul at Walmart. Not only have I been able to get everything on the wish lists. I was also able to pick up the rest of my everyday shopping list items during the same trip. Meaning I only have to hobble my way into one store for everything we need. One of my favorite things about shopping at Walmart is scanning my receipt into their mobile app. The app does the price matching for me and loads a Walmart gift card with the savings difference! This year alone I have saved over $90 ! To sweeten the Back to School excursion even more. I came across these specially marked packages of Kleenex tissues, Viva Vantage paper towels and Scott toilet tissue products that have Double Boxtops on them! Collecting Box Tops for education are an easy way for your family to help raise funds for your school. I feel like I am a pro box topper. Can we make that a verb ? Last year several parents and I helped count, sort, re-trim and send in thousands of Box Tops for my kids school. Pro tip : Keep in mind, when you are cutting these to save and send into school. Make sure you cut close enough to the box top that there isn't excess areas. But do not cut off the date or into the outlined box. Doing so will make that Box Top invalid. 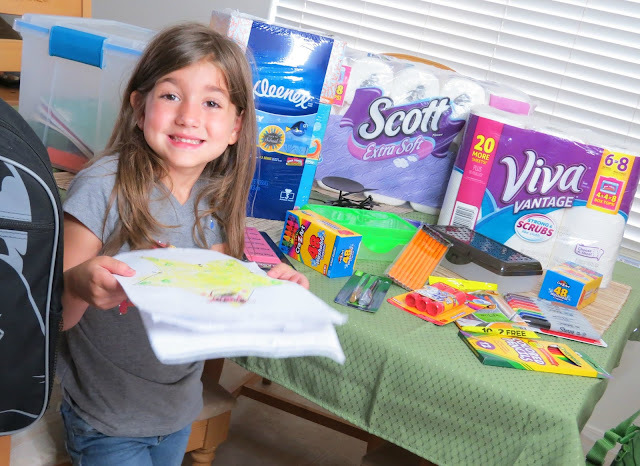 Earn Double Box Tops and save yourself from driving around town by making one Walmart Back to School trip this year. 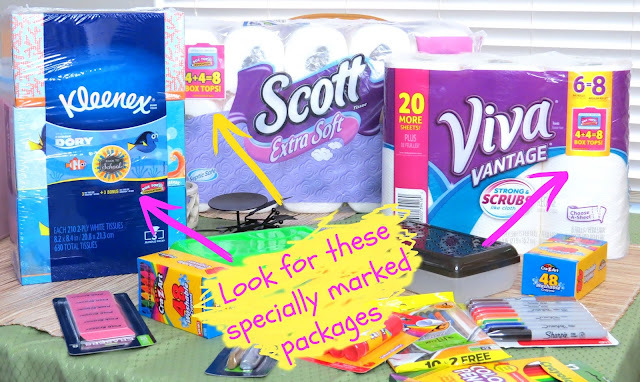 Did you also know you can shop Walmart.com to purchase these Double Box Top earning products as well? 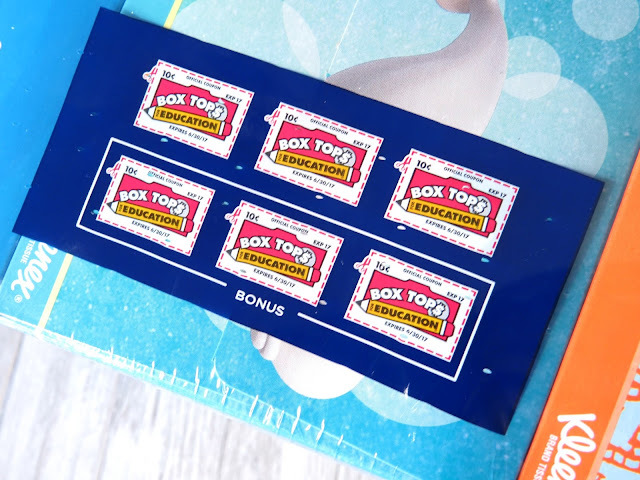 Comment below and tell me what are some of your favorite Box Top earning products are.